With few days to 2018 World Cup scheduled for Russia, football loving Nigerians are yet to come to terms with why their darling team, Super Eagles churn out what many have described as another yet disappointing performance during their last high profile friendly match against Czech Republic. The below-par demonstration by the World-Cup bound Nigeria’s senior National Men team apparently came as a surprise package to some, but to those who are in touch with reality, it’s no shock at all. Like a dream, some persons alluded to it. Pity! Just as ‘we’ usually believe everything that oozes out from our leaders, especially when they approach us with promises padded with utmost emptiness with any iota of proofs or at worst, mere convincing moves. Simply, because Super Eagles qualified for the mundial with a match to spare in the midst of African foes – Algeria, Zambia and Cameroon; hard work, competence and practical ideals were thrown away and all of a sudden, Nigeria became top contenders to lift prestigious World Cup. If wishes were horses, some Nigerian Players would have just been tagged among the best globally, at the moment. 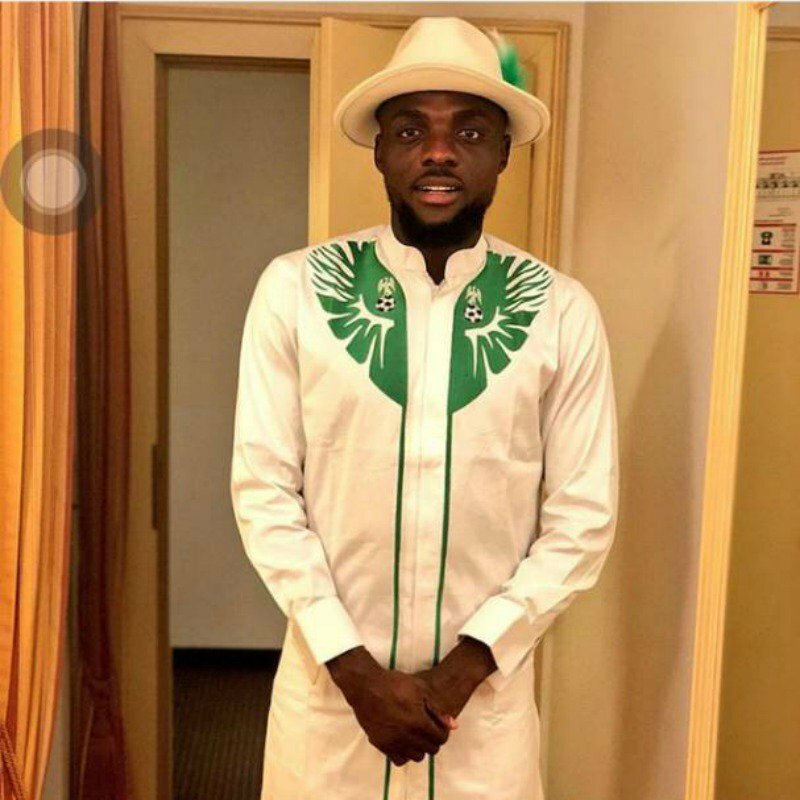 In most cases, we need to trade with caution, much as everyone wants his or her team to put up superlative show at the big stage, attempts shouldn’t be tailored towards pilling undue pressure on a Gernot Rohr-led team parading mostly players with non-World Cup experienced lads. Unfortunately, some officials of the Nigeria Football Federation (NFF), even championed ‘operation win World Cup’ crusade. What a way! Instead of preaching ultimate triumph at the end of this year’s most talked about soccer fiesta, efforts should have been or at least should now be exerted on administering quality football system in Nigeria. According to verifiable record, Nigeria is still one country that has won FIFA cadet championship, popularly known as Under-17 World Cup a record five times. The question that should be echoing in the minds is ‘What have been the benefits thereafter?’ Of course, an express answer is that there has been nothing to show for it. One of the key aims of FIFA’s under age football competition initiative is to allow for the developmental progress of global football stars of tomorrow. From the Under-17 to Under-20 and then Olympics, up to the biggest stage of World football, it is always fulfilling for any football federation which has its players living through the years to feature in all categories of global football competition. Ahead of 2018 World Cup, if you take a look at some of the players who graduated from the FIFA Under-17 World Championship hosted by Nigeria in 2009, you will understand that some other countries especially in Europe and South America maintain a steady progression geared towards ensuring that their young footballers graduate successfully to Stardom. For those thinking that losing three out of four friendly matches played so far in the build up to the 2018 World Cup automatically translates to better things to come, Nigeria had it rough similar to the current complexion of things, leading to France 98 when high profile matches against Germany and Netherlands all ended in humiliating defeats and nothing more than a second round show was all that a populous black and giant African Nation got. As it were, there is a yearning need for Rohr-led technical crew to adjust tactics, with the believe that the players at his disposal will respond well, if the hope of surpassing preceding records would materialise. Age cheat no doubt has continued to deal a blow on not only Nigeria football but African soccer fraternity as a whole. Times abound when players who are ordinary over 25 years old claim to be under-17 and coaches in charge go ahead and feature in an age-grade competition. Both the coaches and the country’s administrators have one thing in mind whenever any stage of competition beckons. And that is to win at all cost. It’s alright to always win at such event in line with the thoughts of our football leaders who don’t care about the next generation but only about the next election and indeed how to amass so much wealth at the detriment of doing the right things. At some points in the past, these football administrators had blocked world soccer governing body, FIFA from carrying out some developmental projects. Reason; because they didn’t foresee any ‘pocket dividends’. They prefer to be given all manner of projects or programmes to handle. At the end, they will either produce ill-quality type or may not do anything at all. Some days back, ‘supposed’ players from all parts of the country were at the FIFA Goal Project arena, located inside package B of Abuja National stadium for an open screening ahead of another Under-17 Youth Championship in 2019. To my amazement, when I eventually visited the pitch, behold footballers in their hundreds and may be over one thousand. Where on earth does such magnitude of a charade in name of open screening still happen? Since, there is an existence of under-13 and 15 national teams as well as other local age-grade competitions, why can’t the system be channelled in such a way that coaches scout for quality players from those younger team arrangements? Why waste time and tax payers’ funds to perform somewhat unproductive activities when there is simpler and more efficient approach to achieving improved results? Anyway, if our darling Super Eagles stay back at Austria, they would have found themselves in Russia later on Monday, venue of apex soccer tournament meant to kick-off exactly on Thursday, June 14, 2018. Beyond wish, my very prayer is that Coach Rohr and his Lads have their way over Croatia, two days after World Cup opening day. Afterwards triumph over Iceland or Argentina in a bid to make it out of the group stage. The best performance for Nigeria has remained a round of 16 hit in previous showpiece. Thinking that the New Jersey has brought back luck is another falsehood. African teams including Cameroon and Senegal have reached quarterfinal in Italia ’90 and Korean Japan in 2002 respectively with Ghana having most recent last eight successes at the mundial in 2010, staged in South Africa. Plus Nigeria, 32 Nations will have their heads up in the faraway oil-rich host country when the contest gets underway in a matter of days. Let the round-leather game roll! Tambuwal for President! Why not?